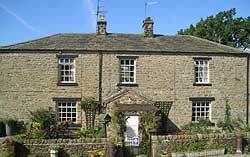 Edmund and Angela Hargreaves welcome you to their Award Winning Ribble Valley Guest House Bed and Breakfast accommodation provided in their tastefully renovated farmhouse on their working sheep farm where countryside conservation is a high priority. 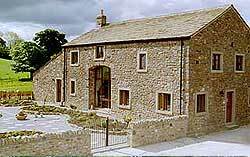 Angram Green Farm, Angram Green, Worston,Clitheroe, Lancs. Adjoining our own property, this recently renovated barn/shippon has been tastefully converted into a warm and comfortable self-catering cottage with exposed beams and flagged floors. Has a level 2 Mobility award. 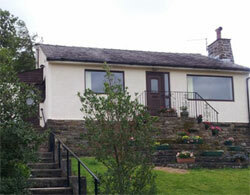 Set in open moorland the cottage has spectacular views of the Hodder Valley and the Three Peaks. 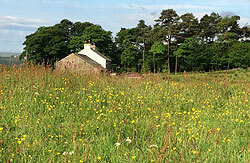 Surrounded by open access land we are an ideal base for those interested in walking and bird watching. 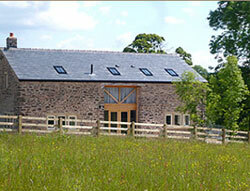 Can accommodate up to 20 people B&B 2 doubles and one single room, Barn maximum 14. 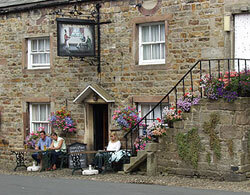 Located just outside Gisburn in East Lancashire, near to the Forest of Bowland border. Our family has lived on this beautiful 17th century farm for over 100 years. 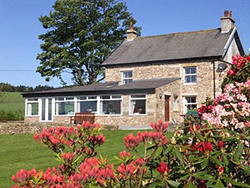 Wood End Farm B and B is situated in Dunsop Bridge at the heart of the 300 sq.mile Forest of Bowland AONB, the farm is part of the Queen\'s Duchy of Lancaster Estate. When you visit the Forest of Bowland area, you\'ll understand why the Queen regards it as one of her favorite places in the country. On the edge of the Yorkshire Dales National Park in the Forest of Bowland A.O.N.B. Near Gisburn Forest and Stocks Reservoir in the Forest of Bowland. On site Bluebell Woods and stream side walk. 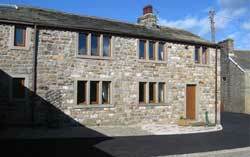 Detached converted Barn to sleep 8 situated in an Area of Outstanding Natural Beauty. This delightful property has recently been converted from an old barn. It is situated in a quiet country location overlooking the River Loud and close to the River Hodder (fishing is available on both stretches of water). 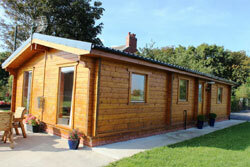 Ideally located for access to The Forest of Bowland and Arnside and Silverdale. 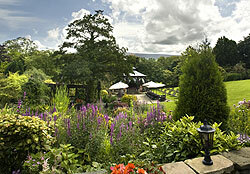 Beautifully situated in the Forest of Bowland at the point where it meets the Yorkshire Dales National Park. 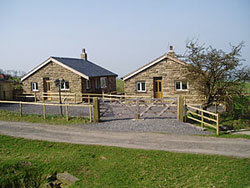 Dalesbridge offers a variety of excellent group and individual accomodation. Uninterrupted panoramic views and a warm welcome. 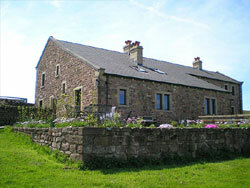 Malkin Tower Farm offers outstanding environmentally friendly holiday accommodation.. 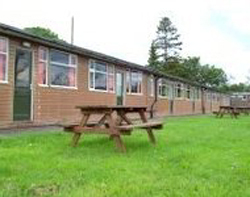 Very comfortably furnished the self catering cottages are compact, cosy and being on one level are suitable for the elderly and partially disabled. They have been built with character, open beams and stone fireplace in the lounge, and central heating to provide excellent holiday accommodation nestling by Pendle Hill in the beautiful Ribble Valley. 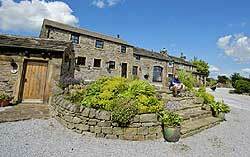 Angram Green Farm Cottage, Worston, Clitheroe, Lancs. 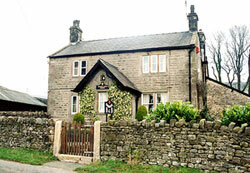 Situated in the Forest of Bowland AONB on the edge of the Ribble Valley with views of historic Pendle Hill. 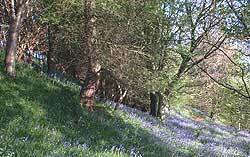 Roeburnscar iis a unique environmentally friendly self catering cottage Situated on our 250 acre organic farm of idyllic countryside Enjoy exploring the ancient bluebell woodlands and hidden gorges in this beautiful river valley. Lake View Holiday Apartment. The 4 bed accommodation comprises 2 twin bedrooms one with twin beds and one with bunk beds. There is a spacious lounge dining room with TV and free wifi. Well equipped galley kitchen area. Also has bathroom and spacious drying area. 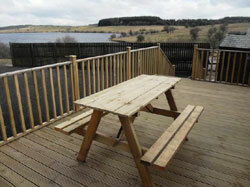 Fantastic views across the reservoir from inside and outside from the raised decking platform. Stocks Fly Fishery, Catlow Rd, Slaidburn, Nr Clitheroe, Lancs. Someone once said that staying in a country hotel should be like being utterly spoiled in your own home. This is quite simply what myself and my team aspire to when you stay with us. 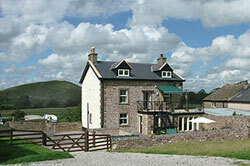 Set in open upland countryside by Pendle Hill in the Forest of Bowland Lancashire. Near Sabden at the foot of Pendle Hill. 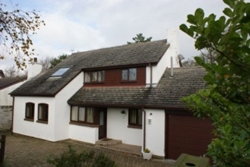 Set in open countryside with woodland and moorland close by. Altogether we farm a total of 300 acres of managed inland, which is home to large populations of wading birds, including Lapwings, Curlews, Redshanks and Snipe. Bowland wildlife is an aggregate blog bringing together blog posts from many blogs featuring wildlife news and stories from the Forest of Bowland AONB and nearby.